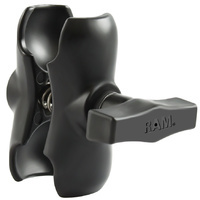 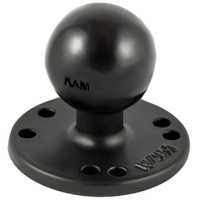 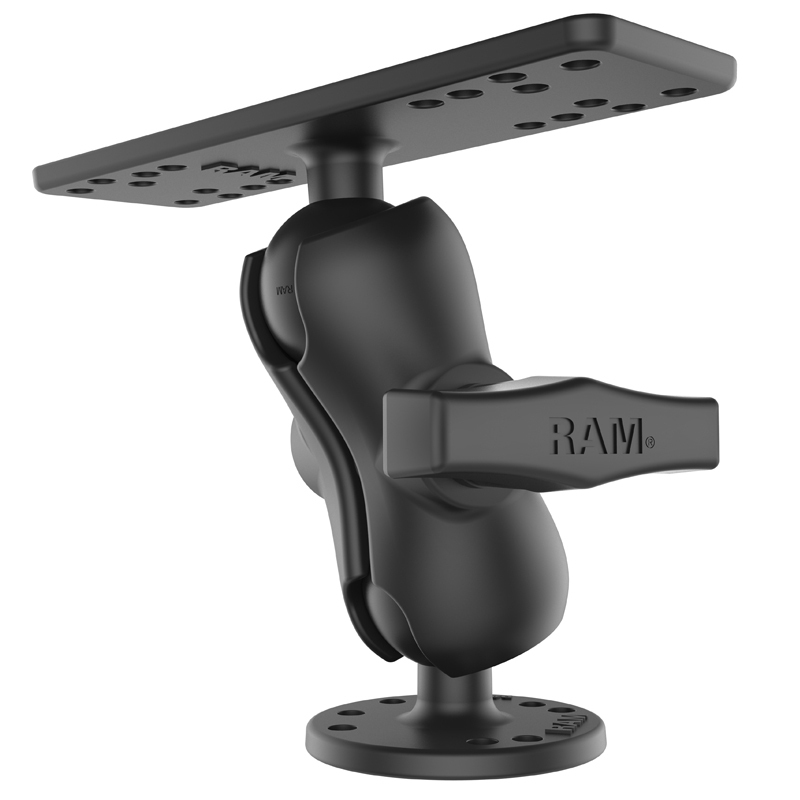 The RAM-111U-B consists of a 2.5" diameter round base that contains the universal AMPs hole pattern, SHORT LENGTH double socket arm and 6.25" x 2" rectangle base. 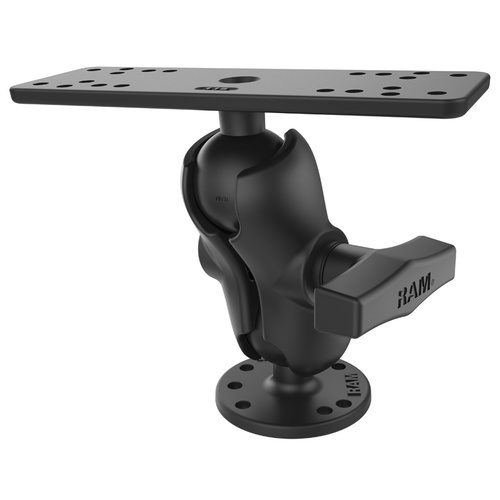 The rectangle base contains different combinations of pre-drilled holes which will match up to many electronic devices and mounts, including Marine GPS, CB Radios, Ham Radios, Gimbal Brackets and more. 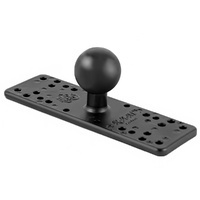 Note: The "U" in the part number reflects product packaged in poly bag. The 6.25" x 2" rectangle base is a universal mounting bracket with a selection of mounting hole locations. 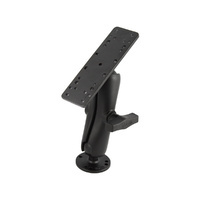 In certain applications additional holes may need to be drilled for proper fit with your electronic device.